Following threats to block North Macedonia’s EU course, once it receives a date to start accession talks, main opposition leader Kyriakos Mitsotakis has acknowledged that the Prespa Accord is binding for Greece and that it cannot be changed after the fact. “International law makes it [the accord] difficult to change as it supersedes all domestic law. Any violation can bring international isolation and an International Court of Justice case against our country. The weight that the next government will shoulder is huge,” Mitsotakis said. Still, Mitsotakis said that the issue is not over for his party. The next government cannot block Skopje’s Nato accession, but its EU accession course will be long and tough. The conservative leader said that if he is elected PM he will refuse to interpret Article 2 of the agreement as signaling that Greece must consent to Skopje’s EU admission. “Skopje’s EU accession process is not linked to the Prespa Agreement,” he said. Greece fully retains all the rights emanating from its status as an EU member-state, such as negotiating and opening and closing accession chapters in accordance with national and EU interests, Mitsotakis noted. “Greece can at any time veto Skopje’s process of accession to the European family, and I do not intend to abdicate that right of our country…I will fight with all my might to temper the negative consequences that are certain to arise from a problematic agreement,” he said. Hence, New Democracy will consent to North Macedonia being given a date for starting EU accession talks, but it plans to use as leverage the Union’s strict, objective evaluation on each of the over 30 thematic negotiating chapters, including economic indices, which requires the consent of all member-states to be completed. Mitsotakis also says that he opposes the provision in the Prespa Accord that Skopje can open and complete accession chapters, even though it domestically retains it former constitutional name of Republic of Macedonia for a five year interim period. 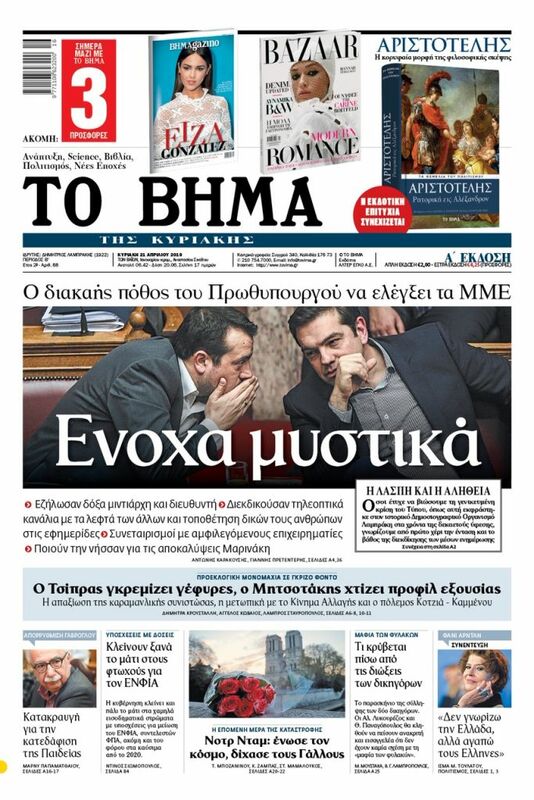 Prime Minister Alexis Tsipras was banking on the prospect that those of Greece’s partners who were eager to implement the Prespa Agreement, especially the US and Germany, would pressure and isolate Mitsotakis. Indeed, Mitsotakis’ relations with Washington and Berlin were very difficult, but from the start he often explained to the European People’s Party (the conservative group in the European Parliament) both the reasons he opposed the agreement and the fact that his party’s large lead in opinion polls facilitated his stance against the agreement. “I did not hesitate to disagree even openly with our large European partners, including Angela Merkel,” Mitsotakis told Parliament in rejecting Tsipras’ claim that he says different things abroad and at home. 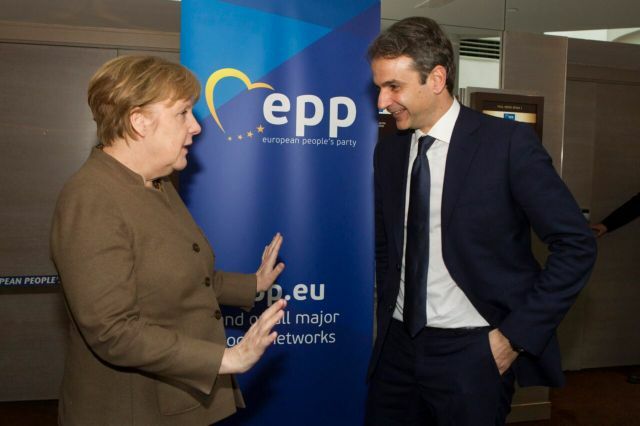 During her visit to Athens earlier this month, Merkel made clear her disagreement with Mitsotakis in public statements.